If I had to describe my family, I would probably call us delightfully quirky. We just love a lot of weird stuff and we take our traditions REALLY seriously. 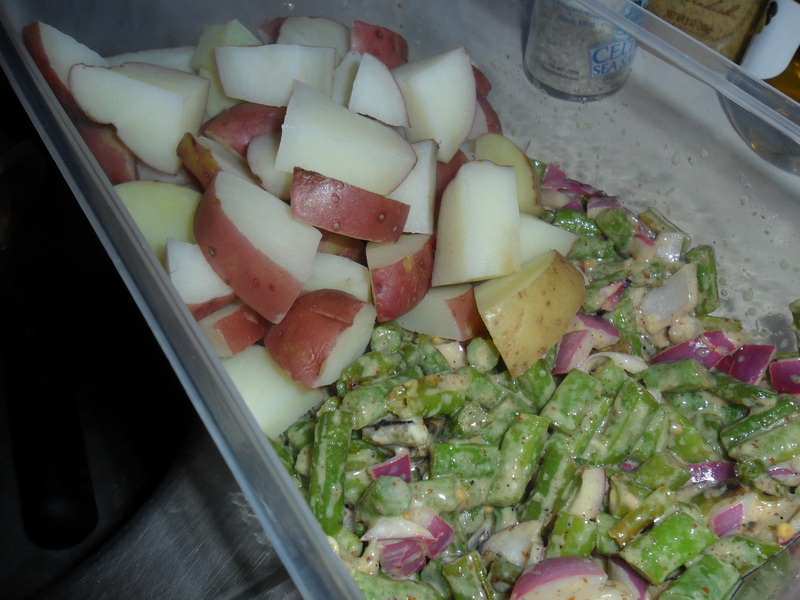 For example, potato salad is less a dish at a summer picnic and more a way of life for us. Every summer I can remember included countless servings of my dad / grandmother’s famous potato salad, and the summer was not complete until the Labor Day barbecue featuring the Lady Josephine Potato Salad Contest. Oh no, you didn’t misread that. My family held an annual potato salad contest… and it.was.amazing. 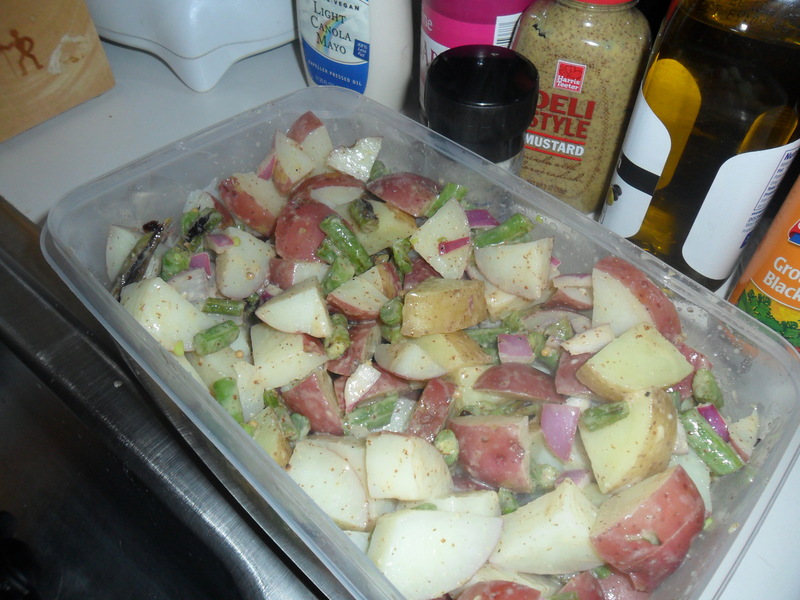 So every time I get the itch for summer, the first dish I think of is potato salad. Unfortunately, my family’s potato salad recipe is less than ideal on the nutrition facts (we use real mayonnaise, BACON, hard boiled eggs, and something my dad refers to as the “Bacon Fat Slurry”, I’ll let your imagination run wild there). Family potato salad is more of a treat for me. But last night I came home from work after a solid six-mile run and I was HUNGRY. I only had an hour before heading out to a concert (saw Washed Out at the Black Cat … it was awesome). I also had a bunch on potatoes in my refrigerator that needed to be used, and I’m not 100% confident how long until a potato goes bad. I wanted potato salad with a healthy spin. When looking for a healthy-fied version of a favorite dish, the first place I always look is SkinnyTaste. If you haven’t been to this amazing blog… do yourself a favor and go! 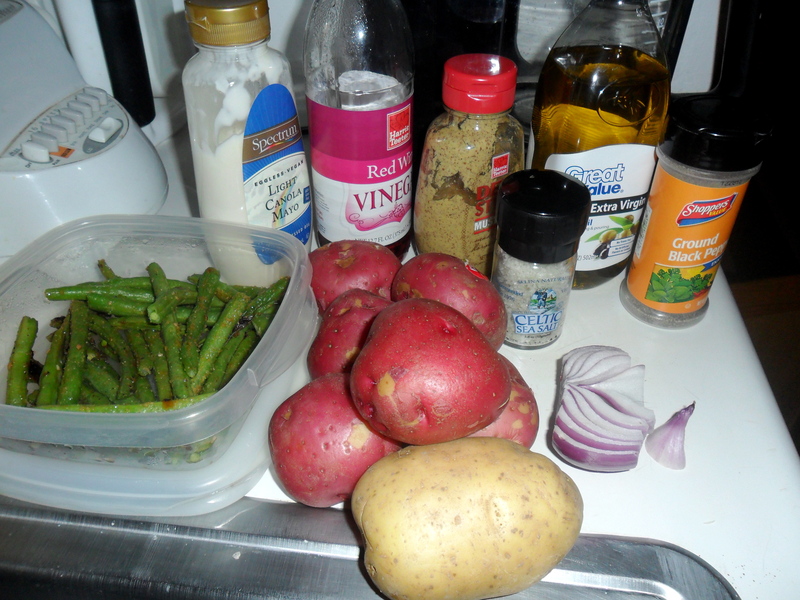 I took the SkinnyTaste recipe for Baby Red Potato Salad but modified it slightly based on what I had / didn’t have in my refrigerator. Here are my fabulous ingredients. Yeah, you like all my grocery store generic brand condiments? They’re my secret weapon for extreme budget cooking. Don’t knock the generic until you’ve tried it. 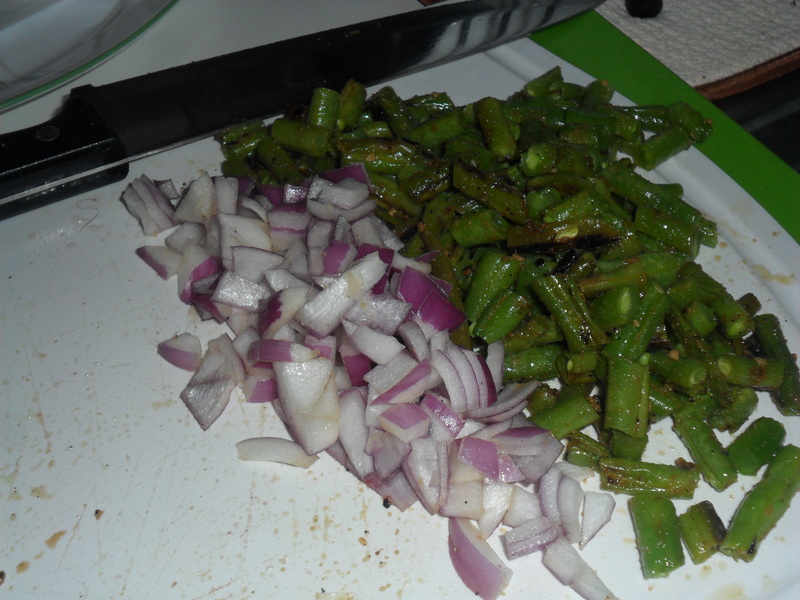 As you can see, I did not have green onions or green pepper, but I had some leftover fresh green beans I made with dinner on Sunday, so I decided to use those. 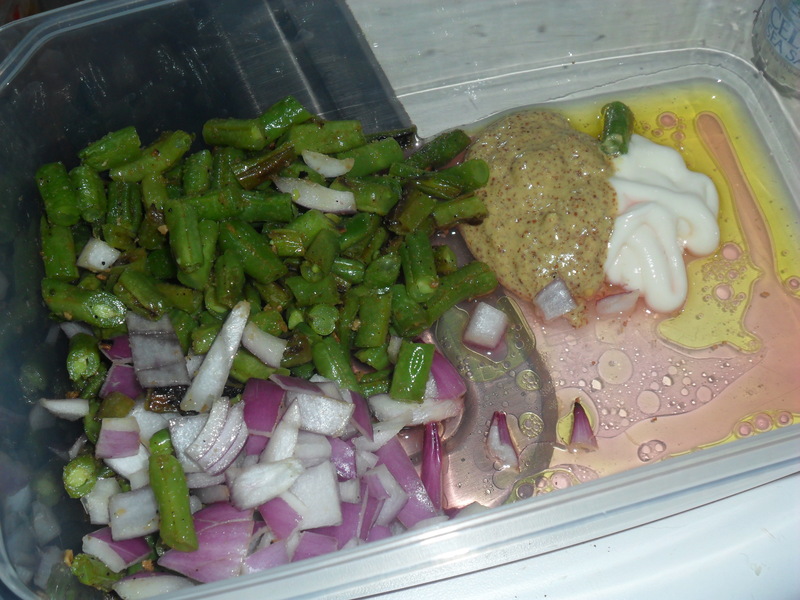 I also only had Canola Mayonnaise (as opposed to Light Mayonnaise) but I like it, so it was ok with me. 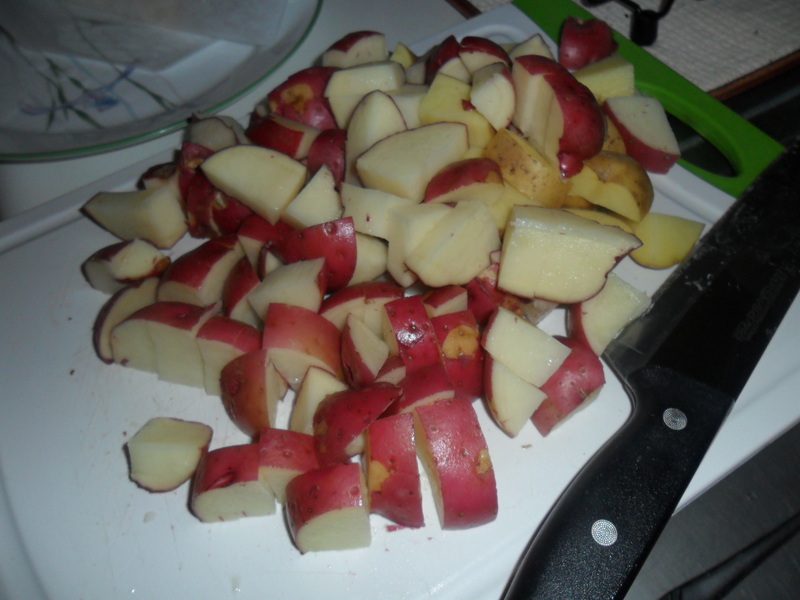 Oh yeah, and one non-red potato ended up in there but I wasn’t about to leave a solider behind. All chopped up and prepped! Stir it all up and VOILA! 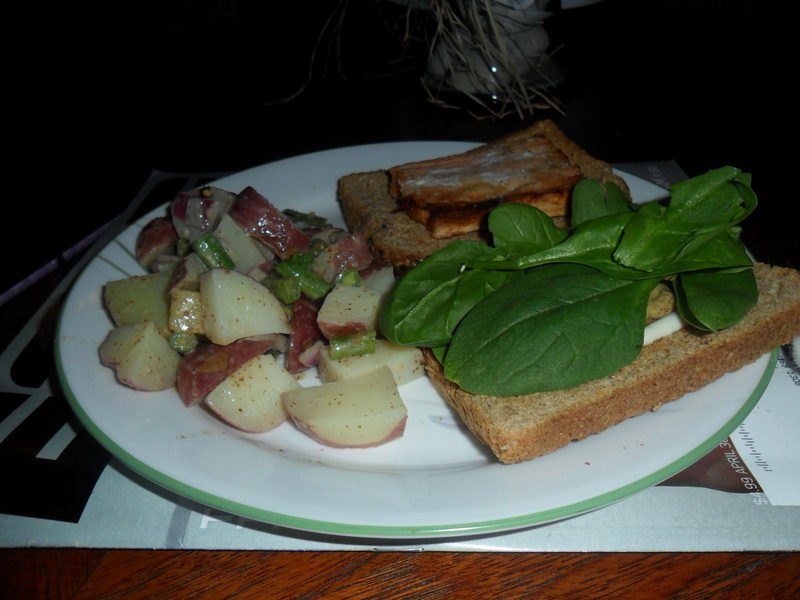 I decided to enjoy the potato salad with a salmon fillet sandwich. The sandwich is just wheat bread, a Gorton’s Grilled Salmon Fillet , some raw baby spinach, and a little mustard / canola mayo. This recipe was REALLY good. It had more of tangy flavor than my family recipe (not surprising considering the mustard and red wine vinegar) but I really enjoyed it. My boyfriend also liked it, so I have a feeling it might be making another appearance in the future.